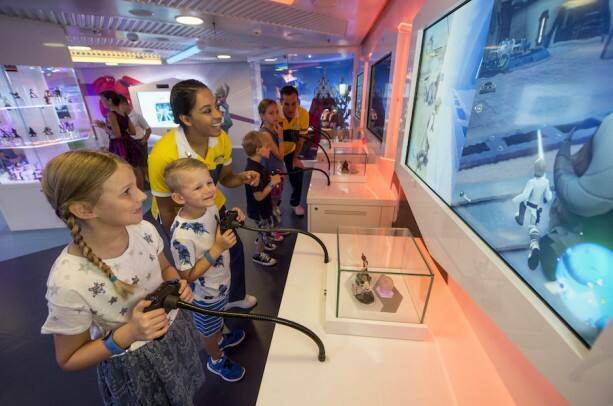 For the first time ever, cruisers are enjoying Disney Infinity gameplay on the high seas. The new Disney Infinity game room opened in Disney’s Oceaneer Club aboard the Disney Dream last week, bringing characters and stories to life in a whole new way for children. 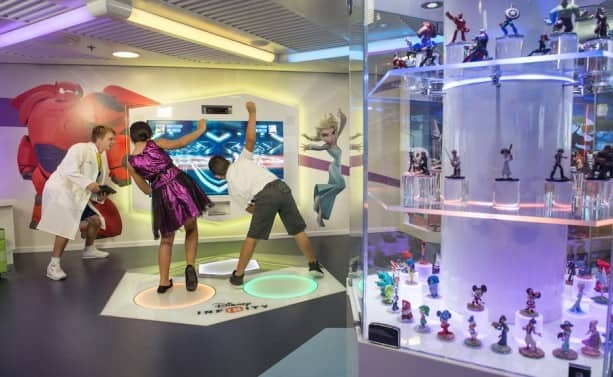 The signature experience in this play area is a life-sized Disney Infinity base that transports players into the Toy Box. Standing on the base, you become a virtual Disney character controlling actions on the giant video screen. After the cruise, you can use your child’s Oceaneer band to download this content for play on Disney Infinity at home. Gaming as Mickey in his race-car-style cruise ship is sure to be a great memento of your fun on the Disney Dream! 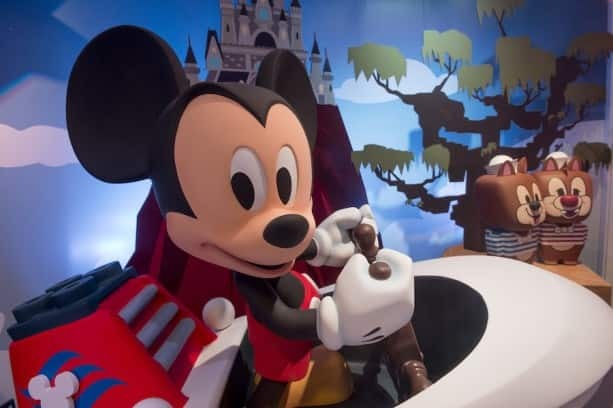 And while onboard, don’t forget to take your child’s photo in front of the sculptures of Mickey and his pals on display in the Oceaneer Club. We are surprising our daughters with Xbox One for Christmas and are cruising on the Dream in April. This experience will be PERFECT! They will be able to experience the fun of their cruise long after we return home! Will there be a time limit for the children/tweens/teens to experience and create their custom Toy Box? 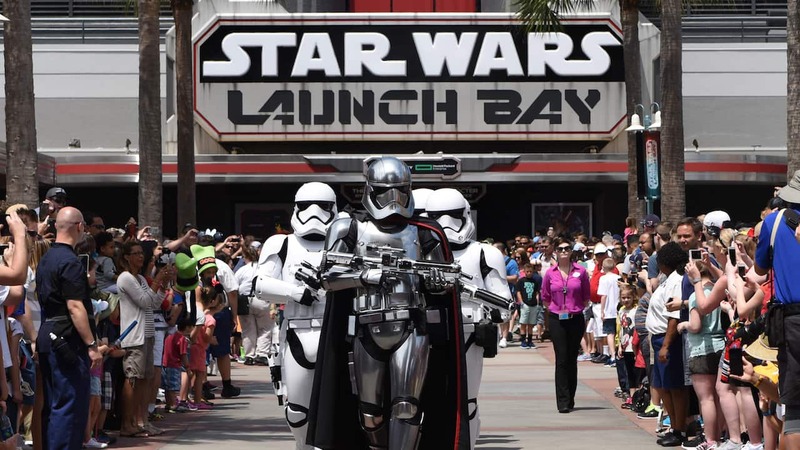 I am concerned that with all the anticipation of this experience with all cruisers, not all children will be able to create a Toy Box experience as there won’t be enough availability or time. That will surely bring tears. Will counselors be available to help the younger cruisers create an experience? My 9 year old probably won’t have any problems, but my 6 year old may not understand what to do. @Mary, anyone can explore the Disney Infinity space during Oceaneer Club open house hours listed in the Personal Navigator. Awesome! Can tweens or teens try it out as well? Are they able to get the exclusive content to use at home? Thanks! !